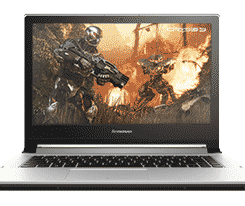 Lenovo Y50-70 15.6" Latest Gaming Laptop Core i7-4710HQ 16GB 1TB HDD + 8GB SSD. 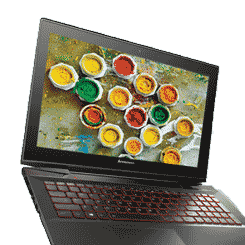 Lenovo brings a perfect gaming laptop giving gamers a thrill like none other. Lenovo makes sure that the gaming experience is full of thrill and excitement that you deserve. So gamers get yourself this amazing device for a perfect gaming experience. This gaming laptop is not only just a gaming laptop but a next big name in the gaming arena. The device has a full HD display making it an ultra gaming device. A perfect display for gaming screens to appear the images and motion super smooth and flawless. What is a device without the super bass speakers that gives you an ultra super experience and thrill. Lenovo has empowered the device with super premium speakers to give you all the detailed and crisp sound of your game without any noise interruptions. Speakers are fully powered with the Dolby audio technology making the speakers a full boosted one. The graphics of the device is powered by the NVidia technology that makes the display appears super fine with every single detail to appear with enhanced detailing. The image not only appears super fine but the pixel changing is also done so quick with un noticeable transition making the FHD image go change in no time. Lenovo has powered its device with motion control technology. A webcam as an input device to control your desired function. This gives you a device of next level of technology.